With every passing hour, Autumn comes near. For the large Bengali community around the world, it means only one thing. Their biggest festival, the Durga Puja, is drawing nearer and nearer. It is the time when the whole of Bengal pulsates with the unique philharmonic of conch shells, the rhythms of dhaks (drums), the "Ulu Dhyani" (tongue sounds) of Bengali women, the burning of dhoop (incense), pushpanjalis (flower offerings) and of course, the chanting of hymns and prayers. Nature seems to join into the celebration with the sunny weather, clear blue sky and gentle breeze that blows time and again. The spirit of festivity breaks loose all over Bengal and wherever Bengalis have a presence. 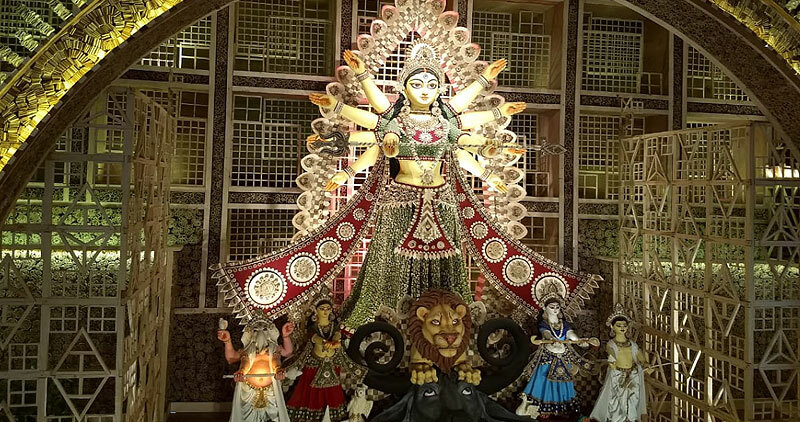 To mark the four days of high Durga Puja festivity, here we bring for all Bengali people a unique section on Durga Puja. Check out our wide range of eCards, stories, wallpapers and recipes for Durga Puja. Also go through our informative articles on Durga Puja Aarti, Baroari Durga Puja and many more. Come then, lose yourself in our splendid Durga Puja section. Shubho Sharodiya! 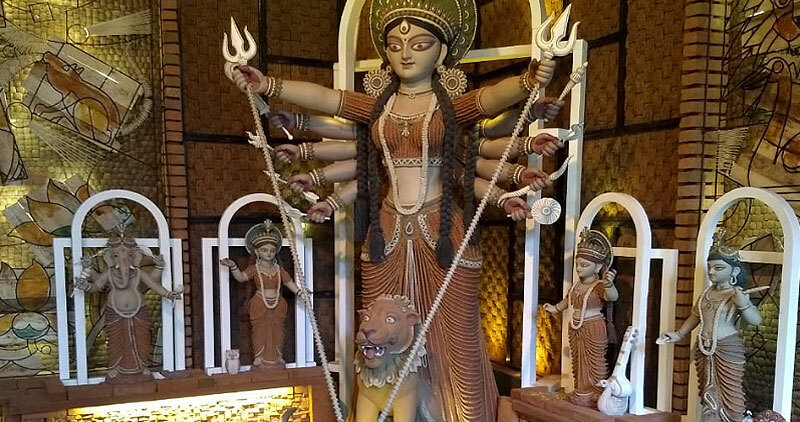 Know the origin of the Durga Puja festival and the reason behind its celebration. Know the dates of the festival days and the puja timings for this year as per the time zone of your country. Set up on your PC or send to loved ones beautiful wallpapers themed to Durga Puja. 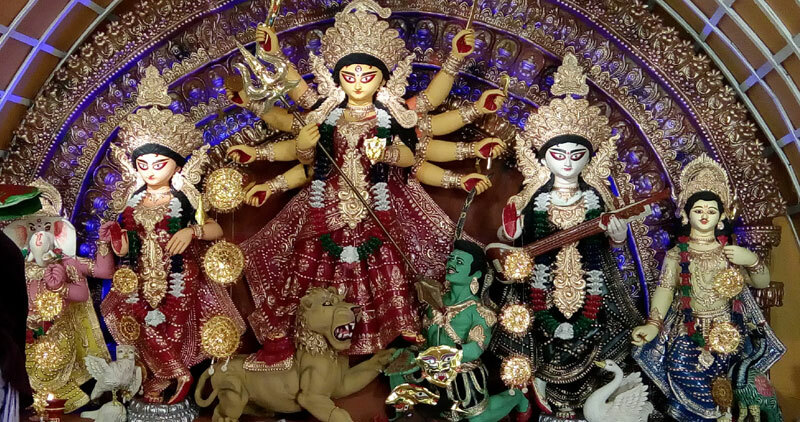 Know the social and religious significance of Durga puja and how it is celebrated. Prepare traditional Durga Puja dishes with our wide range of cooking directions. Make your own animated Durga Puja Wishes and share it at the social sites. Send the greetings to friends and relatives with exquisite e-cards related to the festival. Here are some of the best wishes , quotes and Images to share with your family. Observed by individual groups of Hindu community members this worship form has a long history. 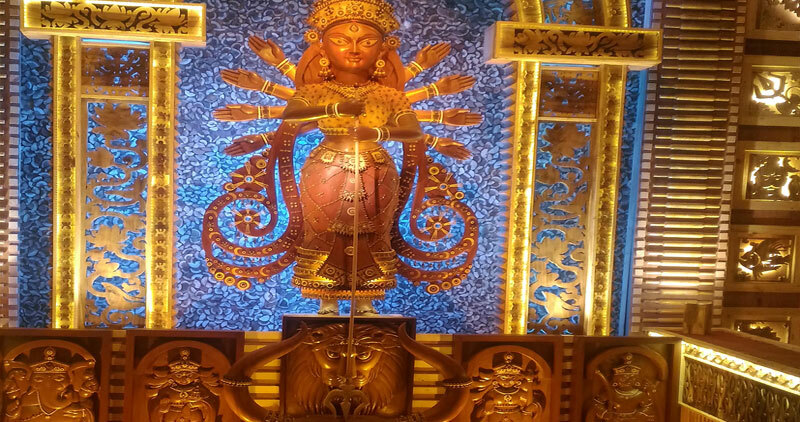 This list focuses on some of the most prominent and best durga puja pandals situated in Kolkata. 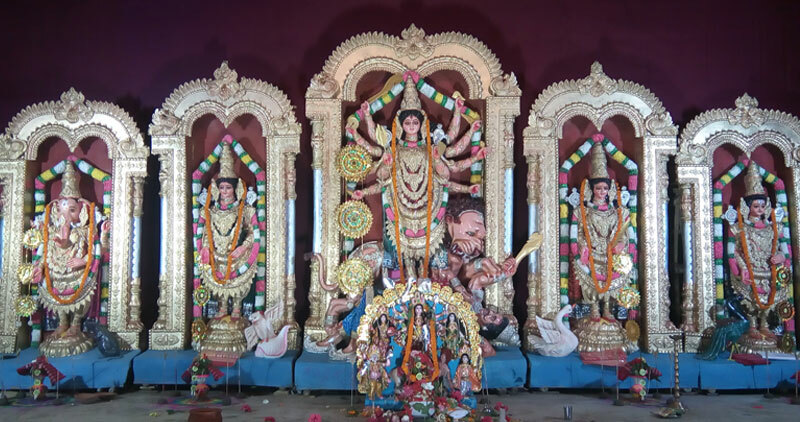 Test your knowledge about Durga Puja with this fantastic quiz on the festival. 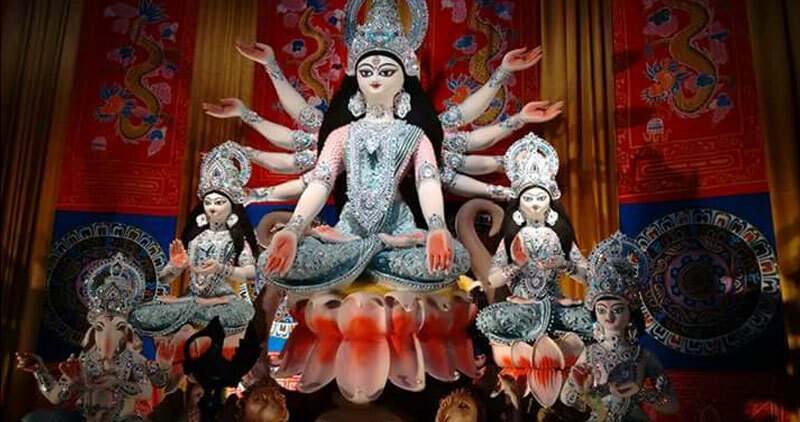 Fantastic Durga Puja Screensavers to download and install on your PC for free. Gear up for the celebrations with these timeless devotional songs sung by legendary singers of Bengal. 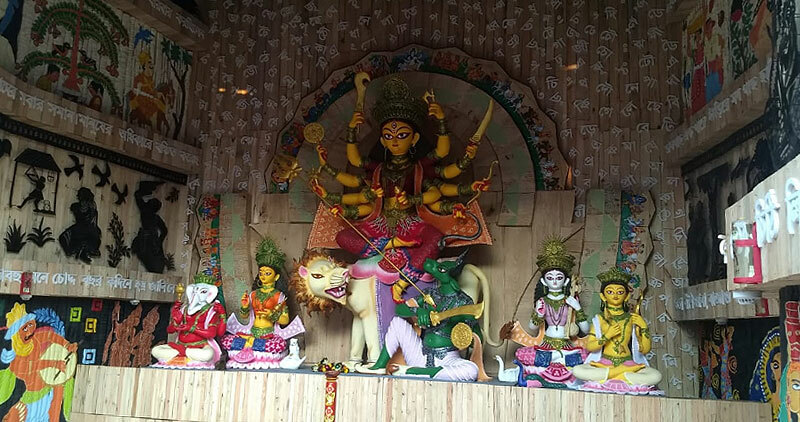 Go through some wonderful short stories that tell about the greatness of Goddess Durga. Know the 108 Names of Goddess Durga and their meaning in English. 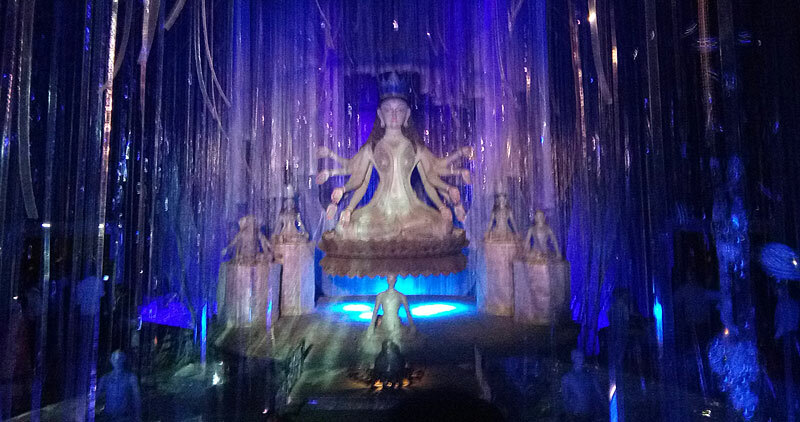 Know why you should stay in Kolkata during Durga Puja. 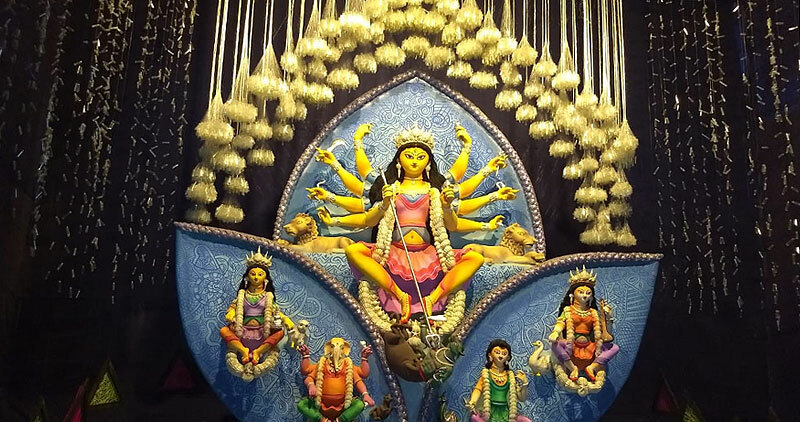 Check out some beautiful photographs of Goddess Durga and the puja mandaps of Kolkata. 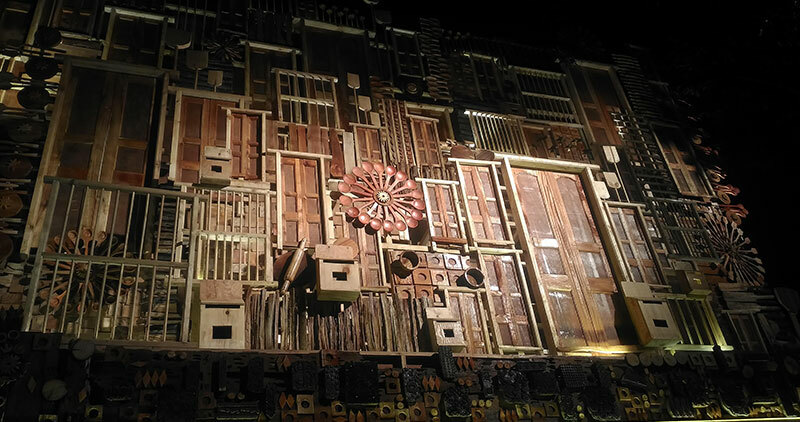 Read and listen to an excerpt from this unique radio show that is an inseperable part of Durga Puja. 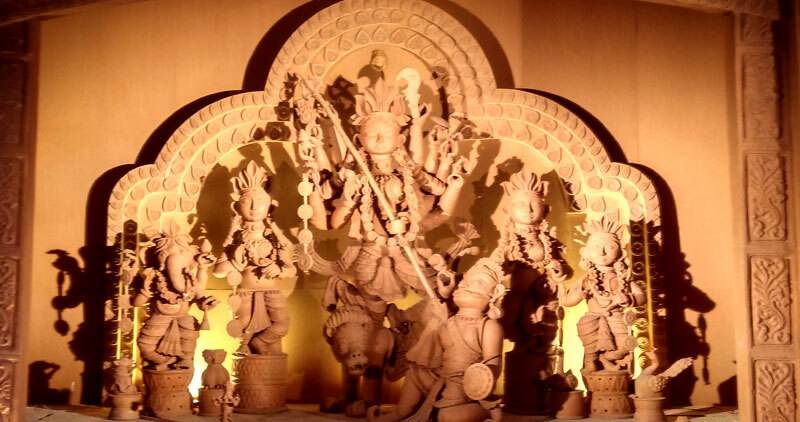 Go through these craft ideas and make wonderful crafts to decorate your home during Durga Puja. These cool word puzzle activities are sure to enhance your festive fun on this Durga Puja. Can't attend a public worship service of Goddess Durga? Offer a virtual worship to Maa Durga. Acquaint yourself with the latest fashion statements of this Puja. Know about Mahalaya and how it is celebrated. Also learn about the traditions and rituals associated. Learn how Puja is celebrated traditionally during five holy days of Durga Puja. Know the Puja zones, destinations, major pandals and route guide at Kolkata. Shower your loved ones with special Durga Puja wishes and aspirations. The worship of Devi Durga in the month of Ashwin is called 'Akalbodhan'. Find out the history associated behind. Know about the famous food joints in kolkata, who stand apart for one specialty item in the menu. Interact with our Durga Puja community and share your feelings. Go over the lines of some popular devotional songs traditionally sung during the festival.